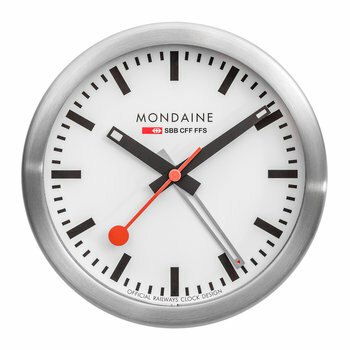 The face of the Mondaine Classic Swiss Railways (SBB) watch has been a mainstay of minimalist, Bauhaus design for 70 years. It was in 1944 that Hans Hilfiker, a Swiss engineer, designer, and employee of the Federal Swiss Railways, created a clock which has become known as the “Official Swiss Railways Clock”. 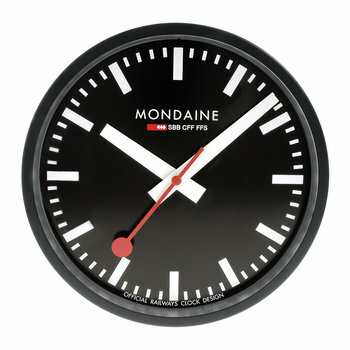 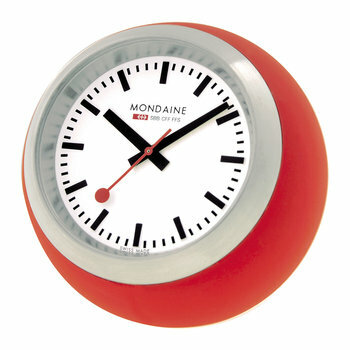 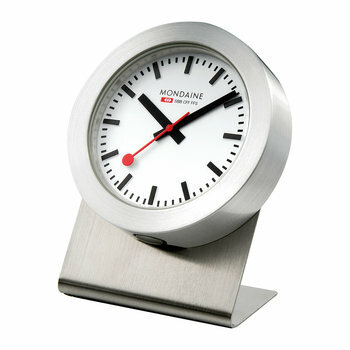 Featuring an iconic red paddle-shaped second hand – inspired by the paddles that were used to signal the arrival and departure of the Swiss trains – and an easy-to-read black and white face, this signature design has been responsible for the legendary punctuality of the Swiss rail network for seven decades. 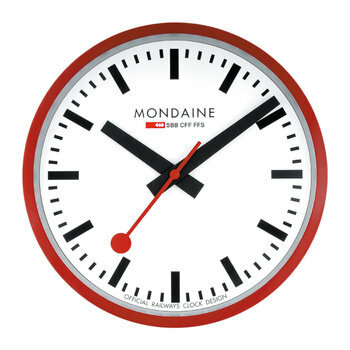 The Mondaine watch company, which was founded by Erwin Bernheim in 1951 and is still owned and operated by the Bernheim family today, found inspiration in the blueprint of the iconic, patented design of the Railways Clock and turned it into a watch collection officially licensed by the Federal Swiss Railways. Mondaine Official Swiss Railways (SBB) watches are the famous clock in miniature form, created with Mondaine’s legacy of Swiss manufacturing, uncompromising authenticity and straightforward aesthetic.